Bobo means bourgeois-bohème; a left leaning, culture loving elite. Kind of the French version of the hipster. Someone of or joining a more comfortable class who likes to dabble in the cultural spaces of the working class and/or ethnic groups. 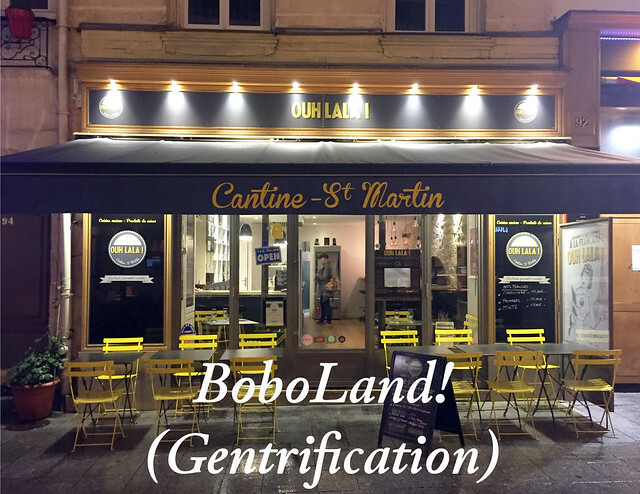 The bobo like the hipster is the boogieman of gentrification. No one wants to be bobo and yet we see them everywhere. And with their presence goes the neighborhoods we knew. This episode will be dispatches from and on the edge of Boboland.